MidNite Solar proudly introduces their latest offering, the MidNite Solar "Mini-DC". 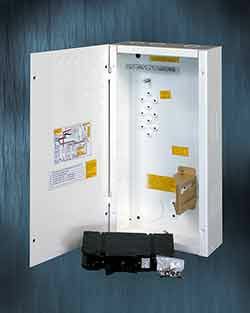 Furthering our goal to provide space saving, economical, yet feature-packed solutions to the needs of the industry, we bring to the table this new DC Breaker Box. This version adds another din rail allowing up to ten din rail mount breakers. Two din rail cover plates and two panel mount plates are included. 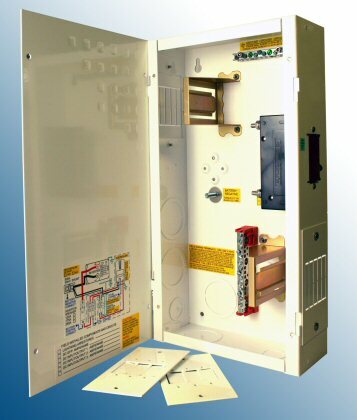 The panel mount plates allow for mounting the .75" 125VDC breakers that range from 60 amps to 100 amps. 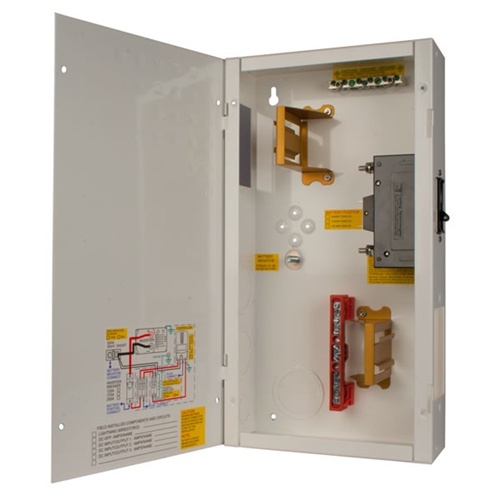 You can also fit the MNDC-GFP80 plus for more panel mount breakers in the enclosure.